Australia’s Wide Open Agriculture (ASX:WOA) has planted its first industrial hemp crop. 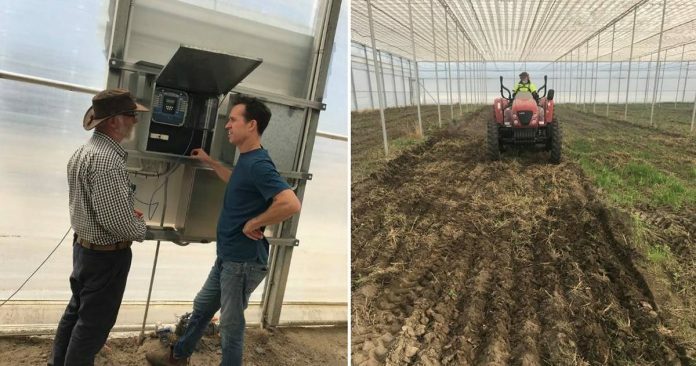 The company says it’s the first hemp to be grown using a shadehouse and highly controlled environment in Western Australia. “Normally, open field industrial hemp production would plant in September and October, but this program will provide new data about the potential for winter cropping and year round production,” said WOA Managing Director, Dr Ben Cole. Three hemp varieties will be trialled over winter, primarily for seed production, but hemp fibre may also be extracted. The trial will be carried out using innovative approaches in an attempt to boost seed yields. “The winter trials will enable us to apply regenerative growing practices for industrial hemp. Our goal is to offer consumers regeneratively grown hemp products that have been produced in healthy soil,” Dr Cole said. Wide Open Agriculture, a vertically integrated food and agriculture company, was granted an industrial hemp licence in WA in February. The company has three business streams – protected cropping operations, regenerative farmland management and its “Food for Reasons” food brand that sources key ingredients from Western Australian regenerative farmers. In other recent news from Wide Open Agriculture, the company is looking to raise up to $176,448 (before expenses) by the issue of 17,644,812 Entitlement Options. The funds will be used will as additional working capital for WOA and also to meet offer expenses of approximately $25,000. WOA began trading on the Australian Securities Exchange in July 2018 after raising $5 million through an initial public offering. The hemp industry in Western Australia is regulated under the Industrial Hemp Act 2004 and has somewhat an advantage over farmers in other Australian states. Last year legislation was passed increasing the permitted tetrahydrocannabinol (THC) content in industrial hemp to one per cent. This is far higher than in many other jurisdictions both locally and overseas, where levels are usually set at around the .3 – .35 percent mark. However, while hemp farmers in WA can grow the crop for food and fiber purposes, they are not permitted to cultivate hemp for medicinal applications; such as for the extraction of cannabidiol (CBD).